It all started that shocking Sunday morning, December 7, 1941, as 183 Japanese warplanes attacked America’s Hickam Field, Pearl Harbor, in Hawaii. The devastating results were 2,433 deaths, the destruction of 18 U.S. warships and 188 airplanes. The surprise attack left the nation stunned as President Roosevelt called the United States to war. With American men enlisting in the war effort, the work force quickly diminished. Who would "man" the assembly lines in the factories to produce the many needed items for the current war? Filling a gross shortage of manpower, through the factory gates flooded an army of woman power. Mothers, daughters, secretaries, wives and even schoolgirls picked up the factory duties the men had left behind. Continual appeals were issued from government sources throughout the war, with articles and ads placed in magazines to get women's attention. Such titles as, “Women, you could hasten victory by working and save your man," abounded. 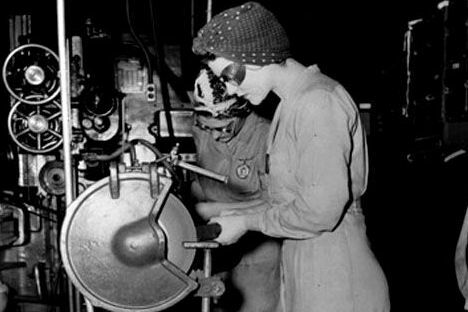 The Magazine War Guide recommended that all published magazines participate in a "Women at work" cover promotion to emphasize not only defense and factory work, but all kinds of employment opportunities for women. One of the many slogans shouted, "The more women at work, the sooner we win." 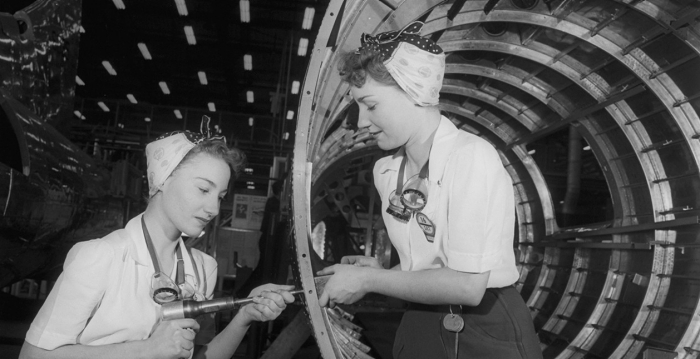 More than six million female workers helped to build planes, bombs, tanks and other weapons that would eventually win World War II. They stepped up to the plate without hesitation and gave up their domestic jobs to accomplish things that only men had done before them. They became streetcar drivers, operated heavy construction machinery, worked in lumber and steel mills, unloaded freight and much more. Proving that they could do the jobs known as "men’s work" created an entirely new image of women in American society, and set the stage for upcoming generations. "It was men's work...until it wasn't. We proved we COULD do it!" 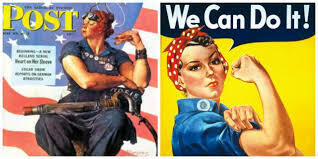 These women, both young and old, would punch into work at the shipyards, factories and munitions plants across America. 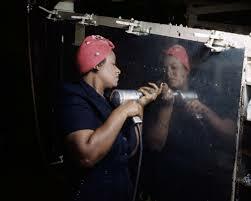 During the war the women increased the workforce by 50 percent. Racial barriers were broken as various minority members went to work. Coming from all walks of life, there were those already working who switched to higher-paying defense jobs, those who had lost their jobs due to the Depression, and then of course there were the women who worked at home. 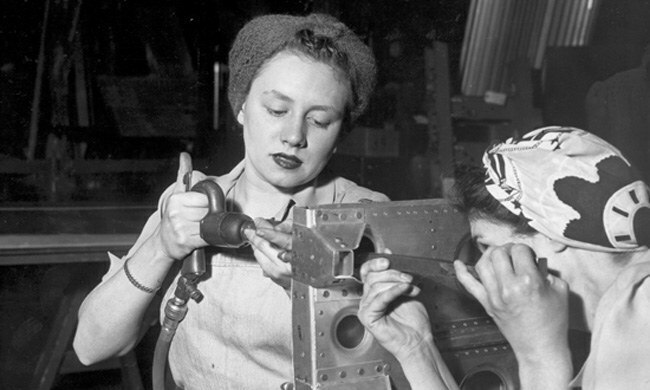 With that many women working in war-related jobs, the phenomenon changed America. Child care centers emerged all over the country. Most of the centers were built adjacent to the plants for the families' convenience. The women who used to stay home with the children now were not only able to work for their country, but were also given the opportunity to earn their way in the world. They were hardworking individuals and that fact shed a new light on America as a whole. Learn more about how you can join the campaign to ensure that the legacy of the Rosies will continue to inspire a new generation of women - especially young girls - to be all they can be! 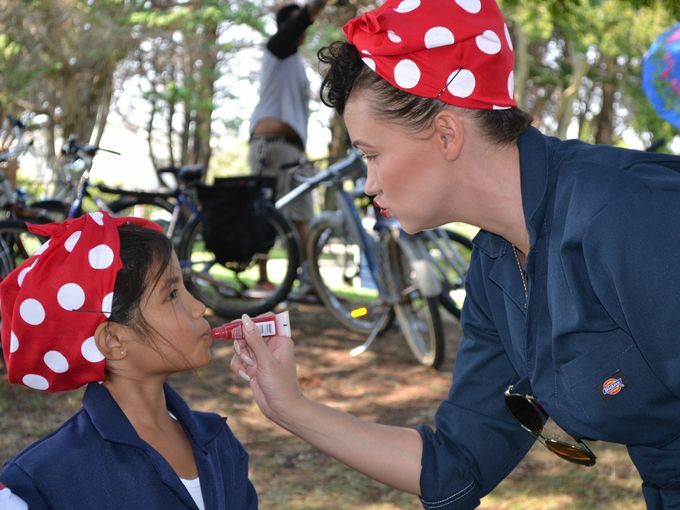 Thousands gather for annual Rally at Rosie the Riveter/WWII Home Front Historical Park in August. 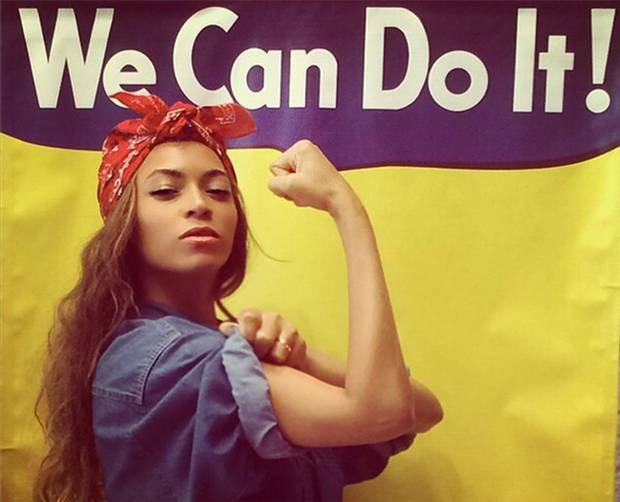 "21st Century Rosiettes" plant their Rosie the Riveter Memorial Rose Garden.